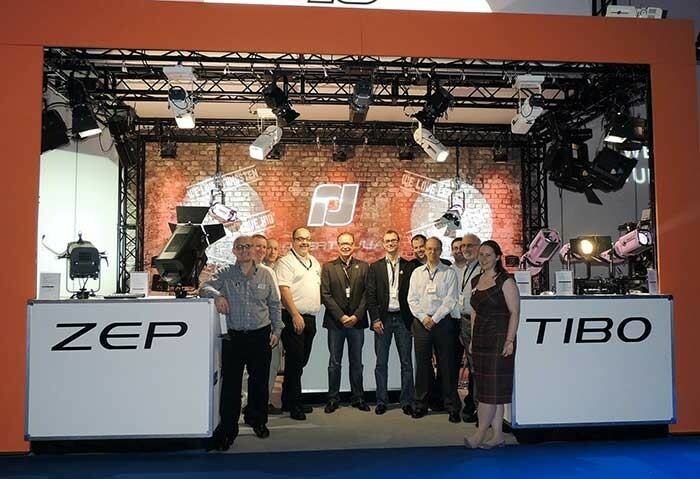 Robert Juliat chose PLASA to unveil a prototype of its new motorized yoke accessory which acted like a magnet in drawing people’s attention. “We are really thrilled to see people’s reaction regarding this enhancement to the Fresnel range which will be available from January 2014,” says Spreyer, “and to note the attraction it had for visitors to the booth.” More information about Robert Juliat’s motorized yoke and associated functions will be communicated in a few weeks. 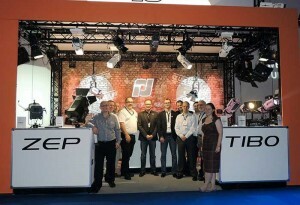 In picture: The RJ and Ambersphere team show off their ‘I Love Tungsten’ badges in their first successful collaboration at PLASA.